This answers the need of the school administrator to understand enrollment patterns and factors that influences the number of students expected to enroll. Educational institutions abroad project enrolment for the coming semester uses different statistical models to project the number of students to enroll in a certain course or year level. A study on the enrolment forecasting for an upper division general education component uses regression analysis based on historical enrolment data to forecast the total student enrolment as well as the student demand for seats, facilities and teachers. The emerging roles of computer as a major tool to various tasks of managers and decision makers are noticeable in most companies, business firms and even in the academe. As managers in business, one sees to it that business is on the right track and its operations are smooth and solvent. Business managers are persons who drive the work of others in order to run a major business efficiently and make a large profit. He or she should have working knowledge of the following areas, and may be a specialist in one or more: sales, marketing, and public relations; research, operations analysis, data processing, mathematics, statistics, and economics; production; finance; accounting, auditing, tax, and budgeting; purchasing; and personnel. Other technical areas in which a business manager may have expertise are law, science, and computer programming. In many businesses, the role of business manager may grow out of a small business-owner’s desire to shed some of the multiple roles mentioned above in order to focus on specific aspects of company expansion or market penetration. Business managers for a time may share duties with the owner, as the owner gains trust in the business managers. Ideally, the business manager and the owner work synergistically to ensure that the business of running a successful business is attended to. The most tedious task of managers is to predict or project future events that may be helpful or threats to their business. Thus, a careful analysis is necessary in order to get an accurate projection of the future events such as new competitions or threats or projection of sales that could have been the basis of their inventories and the like. In the academe, similar to business managers, administrators make sure that the school is running smoothly. The school administrators organize and manage the administration, support systems and activities that enable the effective running of an educational institution. The administrations must extensively use electronic information systems to prepare reports and statistics for internal and external use. Thus, the researchers are eager to find out the usability and acceptability of the Enrolment Forecast Planner. The researchers are fervent to develop a usable and acceptable Enrolment Forecast Planner and sorted out the different functions and services of the system. Summarizing of reports such as students per department, year level, course and school year. Decision-support feature for the academic heads, president and budget department. The study aims to develop an forecast planner for enrollment system. To determine the degree usability and relevance of the enrolment forecast planner as a system. To develop a system on enrolment forecast that provides decision supports. To determine the level of efficiency of the systems developed. The Enrollment Forecast Planner for the student record with decision support system is a big help for the academic head, the faculty and the administrative staff. It is a great help for the school decision making for their students, the ease to keeping and accessing the student’s records and it can guarantee a data integrity through its security features. 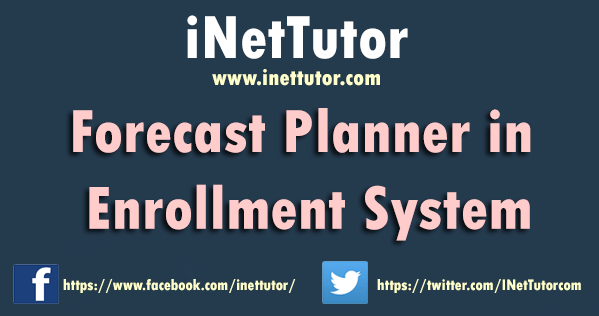 The features in the Enrollment Forecast Planner with Decision Support System which will help the school decide for their students in determining the population of a student or the number of the student failed, drop outs, repeater or outshine in a particular grading period through a summarized graphical presentation. Thus it could support decision-making. Lastly them main concern of the admin is that the safe keeping of all the confidential records of the students. Because the records of the students that have been made is sometimes got lost and sometimes are eaten by the termites because they just keep it in a box inside a cabinet. So, with this system, the records will be safe and secure from anything that will destroy it. 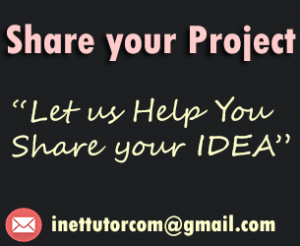 The main function of this study is to keep all the confidential records of the students, reliable and secure keeping and permanent record of all college school students’ data. The development of the school Students Enrollment Forecasting Planner with Decision Support System to enhance the way of managing, searching of all the records of all the students’ confidential records. Credits to the Authors and Developers of the project.